A Virtual Assistant is an artificial humanlike representation of an organisation. It is designed for conversations with (potential) customers, members or civilians (audiences of organisations). A virtual assistant does not only answer questions - it also tries to hold a conversation, to manage dialogues on issues relating to the companies’ activities, or its offerings. Virtual Assistants, also called chatbots, virtual agents or conversational agents, belong to a large family of programs that employ artificial intelligence techniques to provide online assistance to Internet users. Virtual Assistants assist visitors in text based dialogues, often accompanied by an avatar, as a humanlike video or animated character. It provides information, services and assistance about web pages, and supports a wide range of applications in business, education, government, healthcare, and entertainment. Sometimes the term Virtual Assistant is also used in assistance of employees of an organisation instead of external audiences. The term is typically used by businesses, governments and NGO’s that deploy chatbots to automate live chat in call centers. It is solely used within the customer, self-service, and call center industry, and especially in non-English language zones. The reason being that the term Virtual Assistant is widely used in another context in English speaking countries such as the US, the UK and Australia. See also the ‘alternative usage’ section below. Recently, research company Gartner has adopted Virtual Assistant as a synonym for chatbot (whilst their competitor Forrester is using the term Virtual Agent). A classical example of a Virtual Assistant is Anna. She assists users in finding information about furniture in the huge IKEA online product catalogue. Created in 2003 by Artificial Solutions, she remains one of the largest implementations of a Virtual Assistant worldwide. 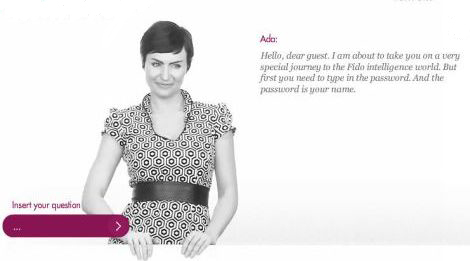 Anna resides in 20 countries, being able to communicate in 18 languages via all IKEA’s country websites. The rise of branded artificial assistants such as Anna inspired YouTube user ‘earthtoerika‘ to produce a video. He also added the song ‘Boten Anna’ of Basshunter, a song about a dialogue with a chatbot, and was convinced that Basshunter was inspired by Anna of IKEA when writing this song. Virtual Assistants assist individual people with various themes in their life. For example with careers, housing and furniture, in travel, home entertainment, and music. John Zakos of MyCyberTwin, compared Virtual Assistant to human performance in enterprise applications during his presentation in the Chatbots 3.0 conference. Copy the Virtual Assistant’s HTML code and place it on your website as a pop-up window or as an iframe. And that’s it, you can immediately talk to your Virtual Assistant! The image below presents a potential look of your Virtual Assistant. Similar functionality is offered by the French platform Create My Assistant. When you log in, you will find a clear and short presentation on how to create your Virtual Assistant and its features (the look, knowledgebase, conversations configuration). Although the examples above are pretty straight forward, can be implemented fairly quickly and offer a low cost solution, implementations in large contact centers of corporations and institutions are complex, time consuming and require substantial investments. However, usually adding a virtual assistant to the self-service portfolio of call centers should save costs by reducing number of employees, providing high accuracy, and consistency in branding (in line with the brand positioning). On top, it provides additional marketing information to organisations, as a Virtual Assistant has plenty of time to assist a web visitor, as opposed to a normal human being who are paid by the hour. 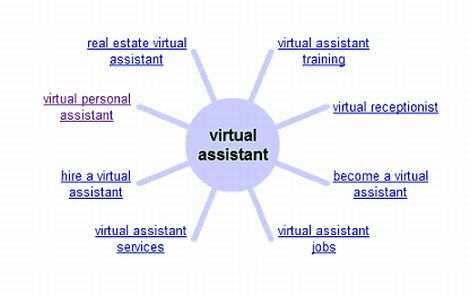 The term Virtual Assistant is a composite of two words: virtual and assistant. Since late XIV century, the word virtual has been depicted as “influencing by physical virtues or capabilities” from Latin virtualis, virtus - “excellence, potency, efficacy”. The meaning of “being something in essence or fact, though not in name” is first recorded in 1650s, probably via sense of “capable of producing a certain effect”. Computer sense of “not physically existing but made to appear by software” is attested from 1959. The word assistant originates from 1540s, meaning “one who helps another,” from Old French assistant, literally present participle of assister, from Latin assistantem, present participle of assistare. The term Virtual Assistant was coined in 1996 by life coach Thomas Leonard, during his telephone conversation with Anastacia Brice, his co-worker. Brice created an administrative experts work model distinct from secretarial services, and to name this new profession she borrowed the term Virtual Assistant from Thomas. In 1997 she formalized the Virtual Assistance profession by opening AssistU, the first organization of any kind for Virtual Assistants (VAs). Therefore, the term Virtual Assistant, as recognized since 1997, always used to be connected to independent entrepreneurs working from outside the main office. See for more information about this term in our ‘alternative usage’ section. At the end of the first decennium, the usage in the sense of an automated dialogue with artificial entities became more popular and that is when all the confusion started. Although we use chatbot as the main synonym on this website, please do not be confused. There are more than 161 synonyms in use by academics, business and virtual assistant enthusiasts! It is simply a matter of reading between the lines. Please check out our main directory with 1376 live virtual assistant examples (an overview as maintained by developers themselves), our vendor listing with 256 virtual assistant companies and virtual assistant news section with already more than 370 articles! Our research tab contains lots of papers on virtual assistants, 1,166 journals on virtual assistants and 390 books on virtual assistants. This research section also shows which universities are active in the virtual assistant field, indicates which publishers are publishing journals on humanlike conversational AI and informs about academic events on virtual assistants. Also, check out our dedicated tab for awards, contest and games related to the virtual assistant field, various forums like our AI forum by virtual assistant enthusiasts and add any virtual assistant as created by yourself and your colleagues to our virtual assistant directory. Please do not forget to register to join us in these exciting times. The term Virtual Assistant (sometimes abbreviated to VA) is also used for human beings working remotely as independent entrepreneurs, highly skilled professionals, or someone else’s personal assistants (PA). According to the International Virtual Assistants Association (IVAA) a Virtual Assistant (VA) is an independent entrepreneur providing administrative, creative and/or technical services. Utilizing advanced technological modes of communication and data delivery, a professional VA assists clients in his/her area of expertise from his/her own office on a contractual basis. The Virtual Assistant industry is huge. In 2010, 65.59% of Virtual Assistants resided in the US, the number of VA’s in Canada was 9.98%, in U.K. 8.73%, in Australia 6.73%. Typing the term Virtual Assistant into a search engine brings you thousands of pages concerning Virtual Assistance industry – discussions, associations and organizations such as The International Virtual Assistants Association (IVAA), Virtual Assistant Chamber of Commerce or Virtual Assistant Networking Association (VANA). The Virtual Assistant Chamber of Commerce conducts an annual survey Virtual Assistant Industry Statistics of the Virtual Assistant profession. The survey, comprised of 101 multiple-choice and free-form questions, is said to be the most in-depth, comprehensive and truly representative cross-section taken of the Virtual Assistant industry to date. The Virtual Assistants industry also organizes conferences for remote workers. The best known events are: Online International Virtual Assistants Convention, Annual Online Virtual Assistant Summit, National Virtual Assistant Conference, Australian VA Conference (AVAC). On the picture you can see how Google relates Virtual Assistants to other terms (using Google Wonder Wheel). It clearly demonstrates that Virtual Assistant term is mostly associated with the alternative meaning instead of the meaning referred to the chatbot industry.